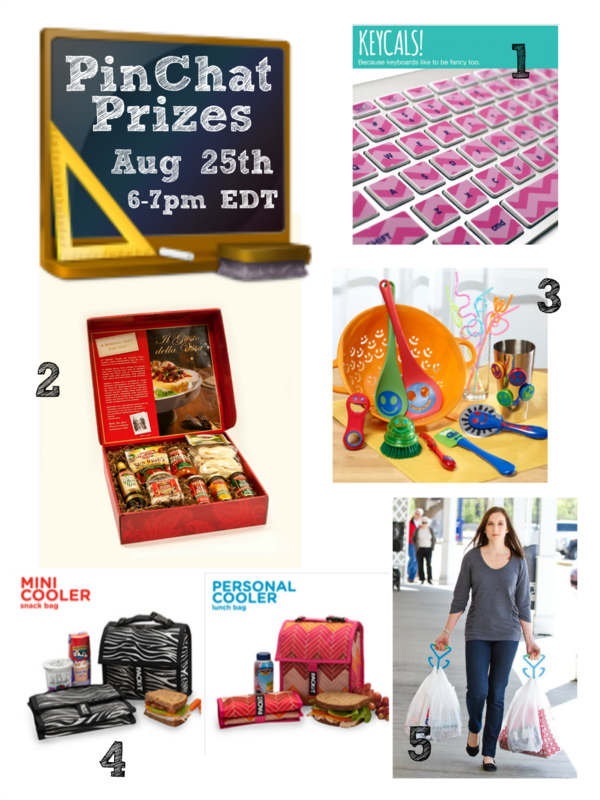 I am excited to be part of this week of crafts, recipes and PRIZES. 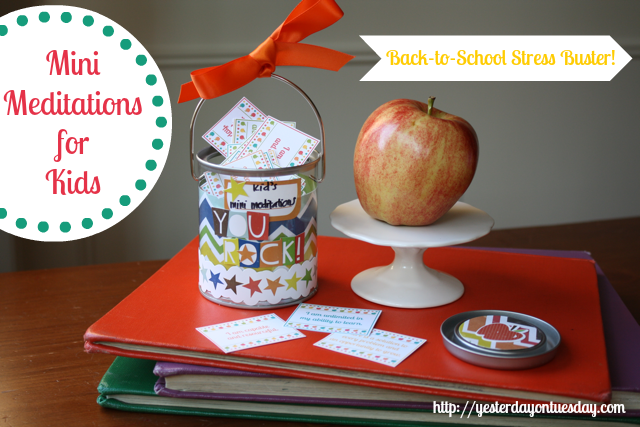 I got to do two fun crafts for #backtoschoolweek. The first were these free printable Mini Meditation Cards for Back to School. 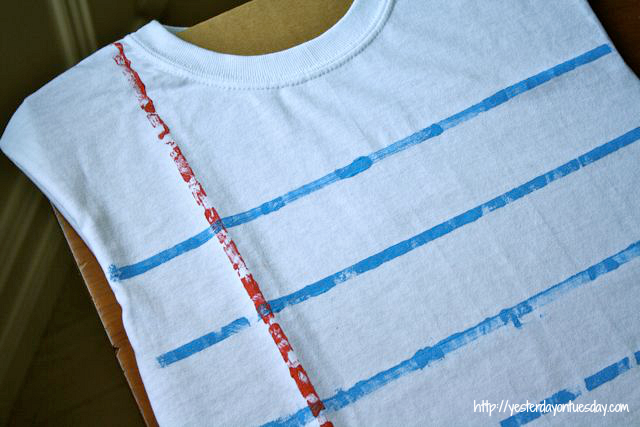 And this second is this this fun project– a Notebook Tee Shirt. 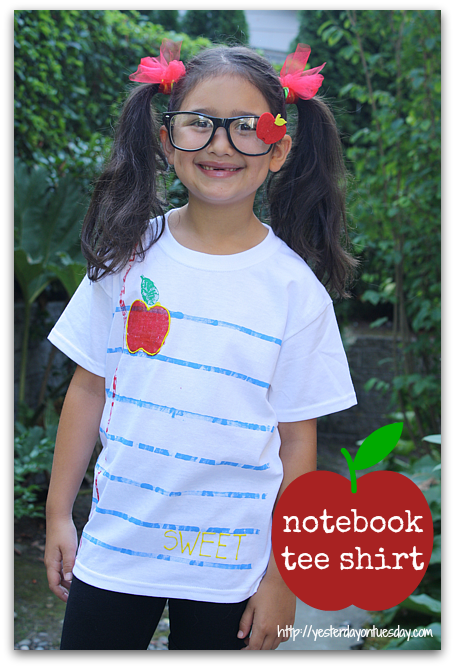 Your kids will get a kick out of wearing this Notebook Tee Shirt… and they can help you make it! 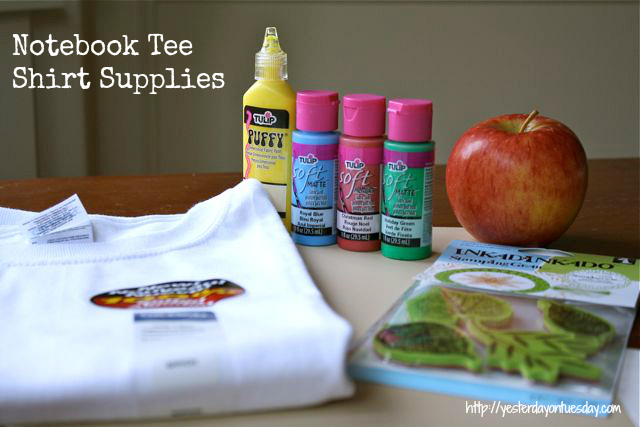 Supplies: White Tee Shirt, Yellow Tulip Puffy Paint, Blue, Red and Green Tulip So Soft Fabric Paint, a small apple, a leaf stamp, paintbrushes, yardstick and paper plates (for the paint). 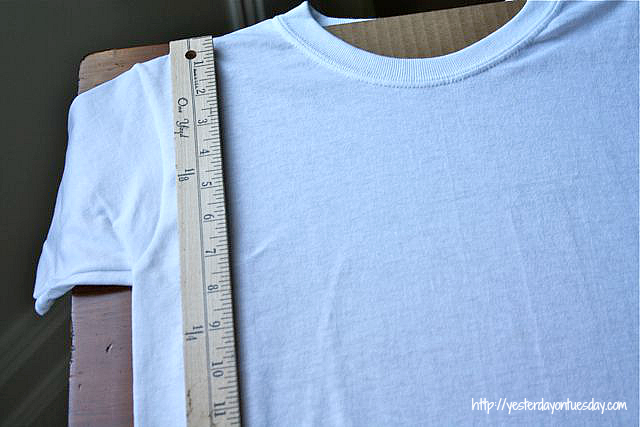 Place a piece of cardboard inside the shirt before you start painting. Step: One Eyeball where you want the stripes/how many strips. 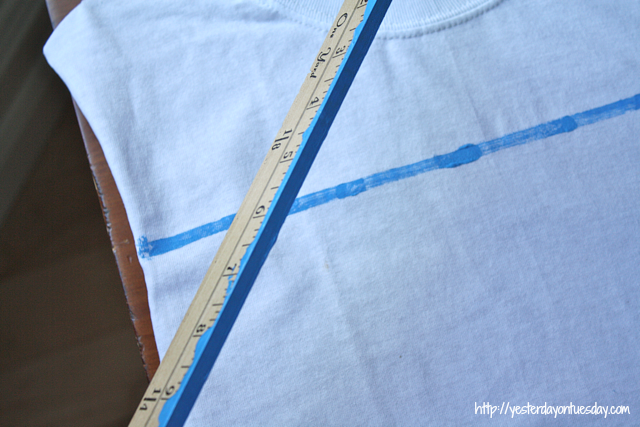 Step 2: Paint some blue paint on the yardstick. Step 3: Make blue stripes, then a single red stripe. Step 4: Cut the apple in half, paint with red paint and stamp it. Step 5: Paint leaf stamp with green paint and stamp it. 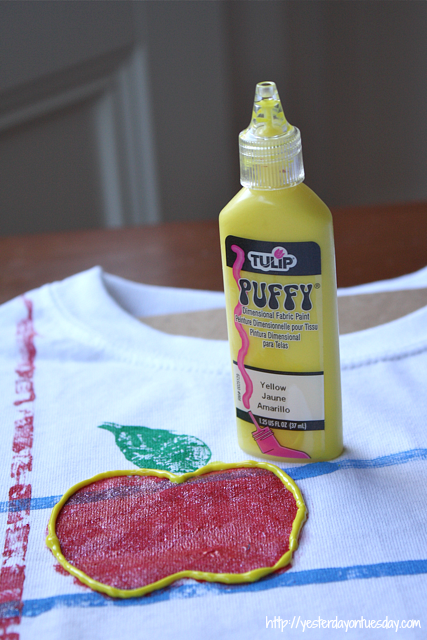 Step 6: Outline apple in yellow puffy paint. 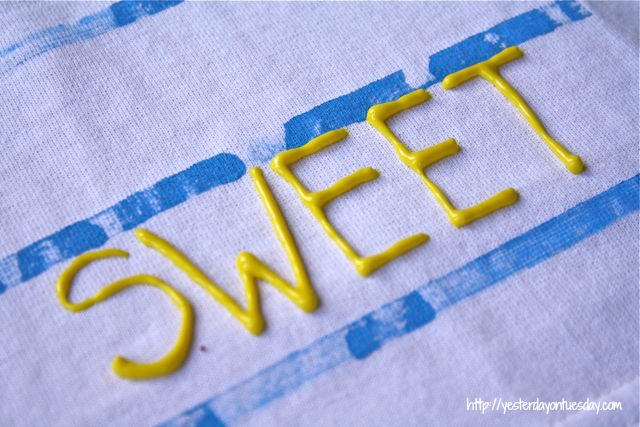 Step 7: Write “Sweet” in yellow puffy paint. Let it dry and you’re good to go! Join us for the Pin Chat and Win Amazing Prizes! Go to the YouTube video that will be happening during the PinChatLive from 6-7 pm EST Sunday Aug 25th. 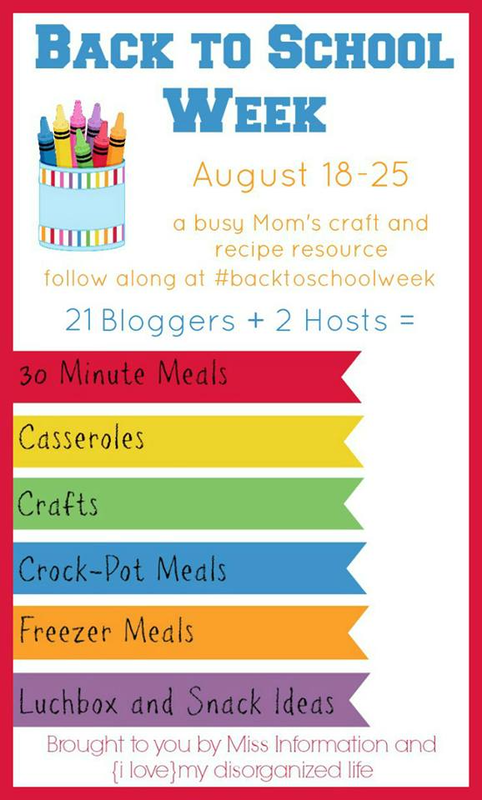 We’ll be chatting about back to school and doing a play-by-play of the pinning.You’ll be able to see and hear the hosts of #BacktoSchoolWeek and some of the participating bloggers! Comments on the video count as PinChatLive giveaway entries! You’ll be able to watch/listen to the YouTube video while you see the PinChat unfold on Pinterest. Cool, right? Hope you can join us, it’s going to be a Pin-tastic time!Cool, right?